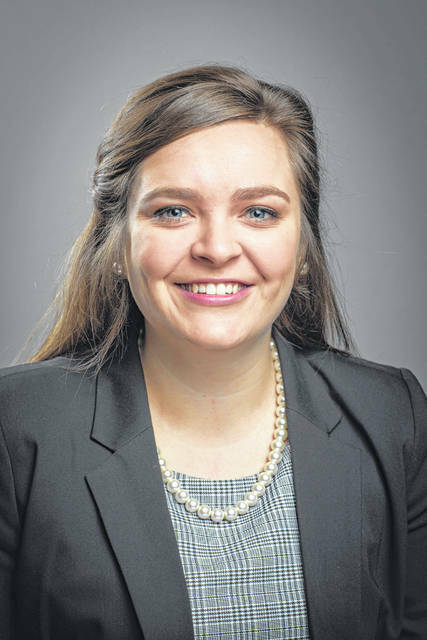 COLUMBUS – Mary Jenkins of St. Paris has been named a 2019 Distinguished Senior at The Ohio State University’s College of Food, Agricultural, and Environmental Sciences (CFAES). Jenkins, an agricultural communication major, will be honored at an on-campus awards dinner today when all 25 distinguished CFAES seniors will be recognized. Jenkins has taken advantage of many opportunities while at Ohio State, where she has made an impact both inside and outside the classroom. Working with a group of classmates, she created a public relations campaign for Stratford Ecological Center in Delaware to revamp its donor program, the Friends of Stratford. The campaign will impact the organization’s fundraising efforts for years to come. Submitted by Ohio State University.